The University of Wisconsin-Milwaukee recently sponsored a day called, “UWM Day” at the Wisconsin State Fair. The University’s goal was to get their name out and generate a lot of buzz all over the fairgrounds. They wanted a product that was going to be not only identifiable, but also practical. Because the fair is held in August, a month which is notorious in the Midwest for its hot and humid weather, they decided to go with a paper handheld fan. The fan was yellow (the school’s color), and shaped like a paw print (the school’s mascot is a panther called Pounce). 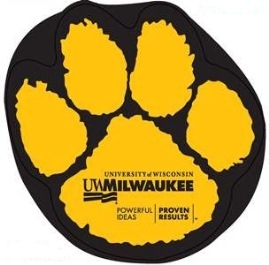 The imprint included the UWM logo on one side and their social media URL’s on the reverse side. This product was a huge success! Because of the warm weather, people all over were using the fans to keep cool. Panther Pride could be seen all throughout the fairgrounds and UWM’s goal of getting their name and logo out there was definitely achieved!